Online games serve as an avenue for family and friends to get together. With their increase in popularity, video games allow you to participate in a little friendly competition or make solid social connections. AirConsole has created a completely new way of multiplayer gaming online from the comfort of your living room. The best part is that there is no need for extra hardware, software, controllers, or anything new to purchase. It is all done through your smartphone and computer screen. AirConsole has tools that are accessible, new, and unique which make it a prime figure in the advancement of video games. Their online platform allows you to transform your browser into an ultra-versatile video game console. Your devices just need to connect to the internet and you are all set. Get started in just minutes. First, choose your screens – you will need a big one, such as a desktop computer, laptop, or smart TV – and a little one, such as your smartphone or tablet. Once you have chosen your screens, visit AirConsole.com on both. On your big screen, you will press the big green Start button on the home page – you can’t miss it! You will then see a random code of numbers. On your little screen, enter the numbers so that the two will synchronize. If you have friends or family members who want to join in on the fun, all they have to do is pick up their smartphone, go to AirConsole.com, and enter the same exact code. Users can also download the free AirConsole app for easy access. And that’s it! By following these steps, you can choose any of AirConsole’s free and fun games immediately. AirConsole knows that video games help curb stress, increase balance, and improve hand-eye coordination. In some cases, it helps people to overcome their dyslexia. These are some of the benefits that playing video games could offer. No matter what you enjoy – racing games, card games, puzzles, shoot-em-ups – AirConsole has you covered. And they add more games to their growing list all the time. 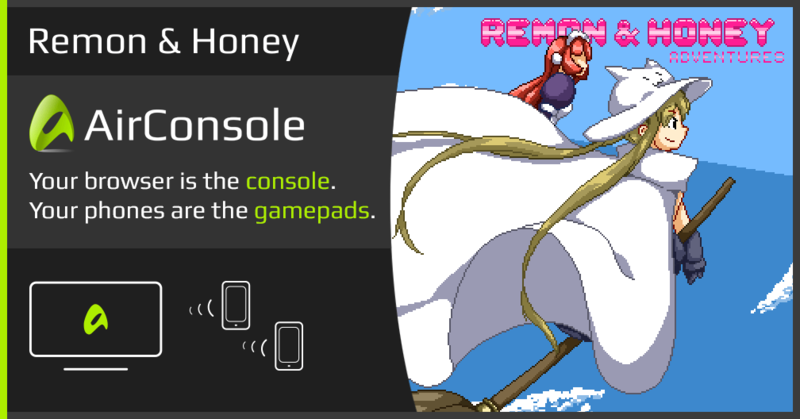 Because AirConsole allows you to use your smartphone as a futuristic gamepad, your kids will never be bored again. Games are great for children’s parties or when they are stuck inside on a rainy day. It is a cool and interactive way for them to use their phones. Children will love the plethora of unique characteristics. These games have their own rich characters, original stories, and stunning graphics that look and feel real. There are great games for adult parties as well. Have you ever played Cards And Humanity? Based on the more popular version, this video game allows you to play without purchasing any cards. Here’s how to play: on the screen, a set of words is displayed that can be used as options for completing a random sentence or phrase in the game. Every player gets the chance to vote on the most ridiculous or their more favorite ones. The winners will be read out loud for a hilarious experience everyone will enjoy! This site offers different online games such as Castle Hustle, a castle defense game where you get to defeat monsters and protect your castle. Brick Wars is another multiplayer game that looks like a classic video arcade game. Brick Wars includes multiple levels with each level gradually increasing in difficulty. AirConsole even features its own free Karaoke system which has 7,500 song selections and much more. Now you do not have to visit the bar to play – you can sing Karaoke right from your home! Large groups will love the multiplayer aspect of AirConsole. Various group games are available in their library. Player vs. player games is also available. Sometimes it costs hundreds of dollars to add new controllers or players to a group – but this system is completely free for their use anytime and anywhere they have an internet connection. Teachers can also use AirConsole as part of an interactive learning experience. Teachers can use the system as a reward to their students using a classroom projector. Smartphones can be utilized to answer questions. Free online video games that can also be an effective and ideal icebreaker for any event, especially during team building activities at work. Searching for free online games intended for a large number of people or groups used to be difficult. Now, using technology like that of AirConsole has just made it easier. It is an ideal activity for any group of people whether large or small. Think about AirConsole the next time you have a bachelor party, a family reunion, or even a date night. A simple lunchroom setting can be transformed into a virtual party experience. It is the ideal way to get your multiplayer gaming session started.